As Auburn commemorates the past 125 years of women being on Auburn’s campus, it’s especially important we take time to evaluate the future of women on our campus and in our communities at large. Thankfully, structural and institutional obstacles for women have largely been removed here at Auburn. But women are still not represented as they should be in the highest ranks of the University. The removal of structural obstacles for women shouldn’t be conflated with the end of gender inequality, nor should we be satisfied until women are fully represented throughout our institution. Despite the progress made, there are still pernicious social barriers and other deep-rooted obstacles to full gender equality; we would be remiss to claim the struggle is over. Having a female SGA president doesn’t mean the roots of sexism have been cut any more than having an African American president of the United States signifies the end of racism. Expecting millennia of social conditioning to be rooted out within a hundred years is gross naiveté. Throughout most of human history, women have played a subordinate role to men in society. As such, our society has grown to perceive women as being inferior to men in most regards — in the workplace, at home and even in higher education. Too often, women are expected to fit into a different, more restrictive mold than men — and refusing to do so comes at a cost. We believe our University should set the tone from the top: we need more women on the Board of Trustees. Out of the 15 trustees on the board, only two are women. When new vacancies occur, more women should be appointed. Their views and their perspectives are needed on the board. The lack of women on Auburn’s Board of Trustees — and in Auburn’s top administration, for that matter — isn’t because of a lack of qualified female candidates; it’s because female representation isn’t as big an issue for Auburn as it should be. Not only would appointing more women to the board and to campus leadership better ensure women are well-represented, it would also serve to create an atmosphere of female success. Auburn has named the top three semi-finalists for the position of provost, the second highest position at the University. None of the finalists were women even though several applied for the position. And over Auburn’s history, no woman has ever been selected to serve as president. Of Auburn’s 15 colleges and schools, only three women are deans, and two are directors. Outside the bounds of campus, only three women are serving on City Council. The ratio is even worse in the State Legislature. On average, it’s harder to get women to consider putting themselves into leadership positions. One study by Jennifer L. Lawless of American University and Richard L. Fox of Loyola Marymount University shows that among college students, men are twice as likely as women to consider running for office someday. As a university, we should be committed to challenging bad ways of thinking. 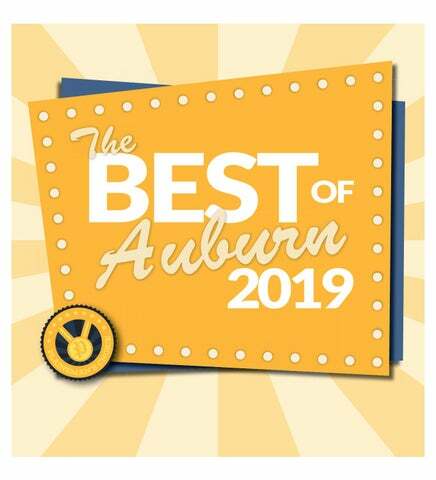 We believe putting more women in positions of influence and leadership stands high on our list of duties as Auburn students and as Auburn men and women. 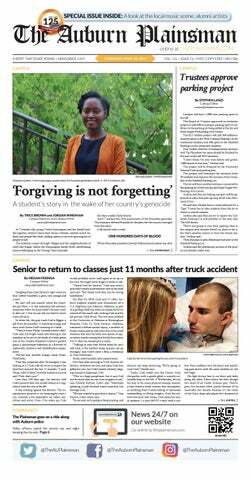 Print correction: The print version of this editorial stated that no woman had served as Auburn's provost. That was incorrect. Mary Ellen Mazey served as provost from 2009-2011, when she left to become president of Bowling Green State University in Ohio. We deeply regret the error.